This morning, my devotion centered on Matthew 7:7-11. This passage is probably one of the more popular and recognizable verses in the Bible, even for those who don’t identify as Christians. In this passage, Jesus teaches about asking, seeking, and knocking. I studied the Greek text of this passage and found that a lot of things are lost in translation. The thing with translated words is that it doesn’t capture emotion, intensity, and other nuances of the original text. I can imagine how much more of the thought is lost in translation because of social and cultural differences. Translated words don’t always convey the sense of urgency that the original text contains. The next best thing is to study the origin of the word and find out how it’s used. 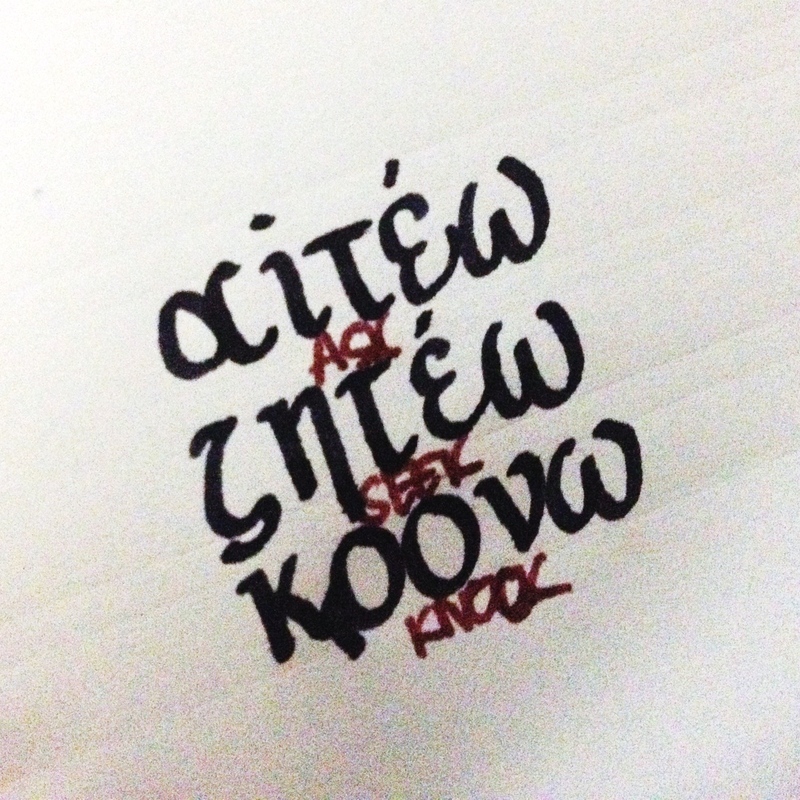 The three key words in the passage above are ask, seek and knock. The Greek word for Ask is Aiteo which means to petition, demand, request, or beg. The word for Seek is Zeteo which means to search for, to desire, to require, or to demand. The word for Knock is Krouo which means to beat down on a door, to knock loudly, to pound on a door with a stick, or to gain admission (to knock with the purpose of getting somebody to open the door). The attitude in these three action words are very clear. Jesus teaches us that it’s not a sin to feel so strongly about something that we persistently ask God for it. It’s not a sin to ask God for something with the enthusiasm of somebody who expects the door to be answered. It’s not a sin to pick up that stick and bang on the door until it opens. Perhaps people pray half-heartedly because they don’t really think that God would want to answer their prayers. However, the next verses show something that Jesus wants us to understand about the Heavenly Father and how he responds to our needs. In the passage above, Jesus teaches us something important about the Heavenly Father. He made the analogy that earthly fathers (who are not perfect in righteousness like God) know how to give good gifts to their children. This expectation we have on what good parents should do comes from the fact that we are created by our Heavenly Father. The Greek word for Father here is Pater which means ancestor. We are the progeny of a God who cares, and so His fatherly love is echoed in us, even though imperfectly. It’s important to expect good things from God. 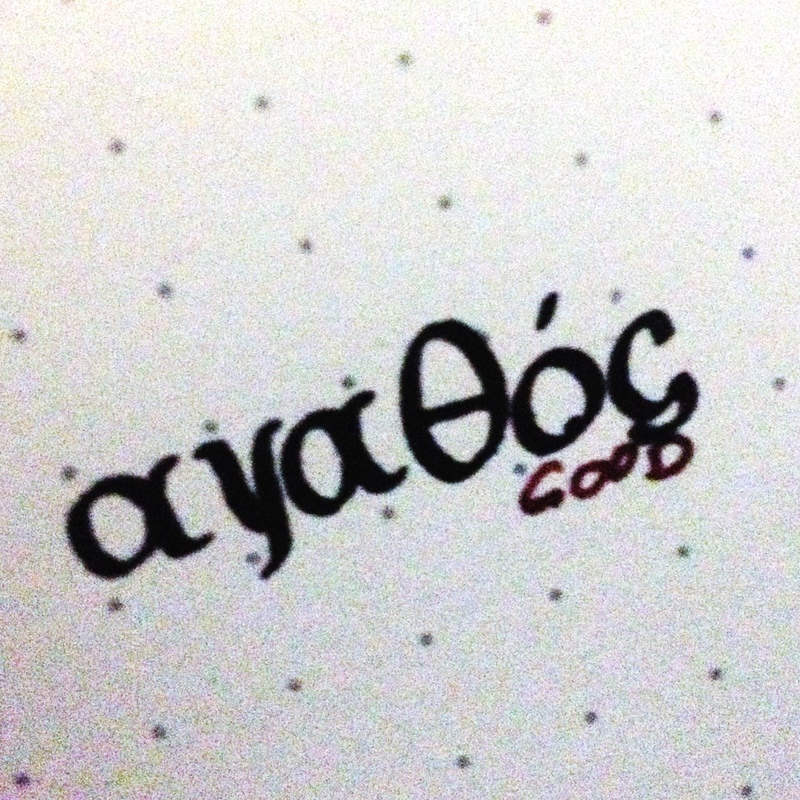 The Greek word in this verse for good is Agathos which means intrinsically good. This means that God’s will for our life is, by nature, good. Just as He is also intrinsically good. His will is agathos, whether we see it or not, whether it is obvious to us or not, and whether we understand it or not. Jesus promised that God wants agathos for us. He wants to give us things that are intrinsically good, not just things that we (in our limited human capacity) think will be the best for us. You can trust Him on that. He’s not a dysfunctional father who messes around with you and intentionally gives you bad things just to toy with your emotions. If you will submit to His will, you can trust that He only has the best in mind for you. The fact that you don’t see or understand it yet doesn’t change the truth of His goodness, His nature, and His intent for you. This entry was posted in Daily Word and tagged heavenly father, jesus, prayer. Bookmark the permalink.